Don’t miss our FREE Trade Show Lunch & Learn Wednesday, February 8 from 11:30 a.m. to 2 p.m.
See the latest and most affordable trade show hardware and graphics. Learn more about effective trade show marketing at this event! 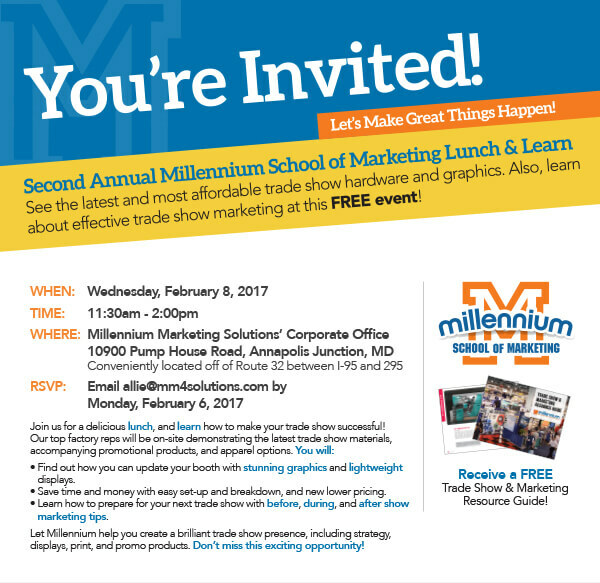 Remember to email allie@mm4solutions.com by Monday, February 6, 2017 to reserve your seat!